In today’s world school has become an integral part of everyone’s life. Children spend their vital part of the day in the school. So, it is very important for the schools to ensure the safety and take appropriate safety measures for the students. As cited in “The Hindu” dated 18th April, the Supreme Court has asked the ministry to frame safety guidelines for the schools which will include both the private and public schools. In the 21st century where technology is fast advancing, tools like cameras, sensors, weapon screening, can help enhance the safety measures of the school. 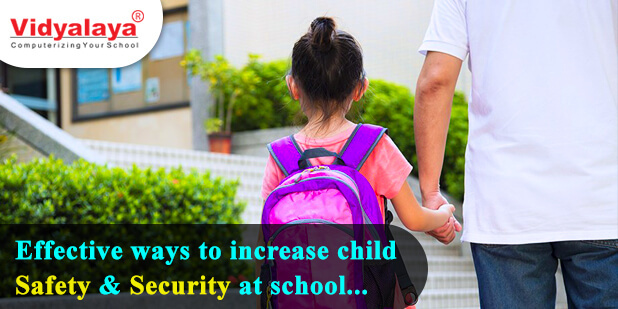 Following are some basic guidelines to help improve the safety of students in your school. Entry Points: By reducing the possible entry points to your school and fencing the remaining areas, you can reduce the ways in which any outsider can gain access to your campus and thus greatly enhancing school safety and security. Monitoring: Putting up CCTV camera’s in the premises and importantly at the parking lot and the entry/exit points of the school. Preparedness among the team: The management staff should know what the situation is and how to act about it. Regular drills should be conducted for preparedness and what role they will play in case of any emergency. Student Relationship: A friendly environment should be created between the students and teachers to understand how children are feeling in the school, whether they are being bullied or not. As they say, prevention is better than cure, this will be an effective way to prevent child abuse. Vehicle tracking: Tracking of school buses is an effective way to keep a track on the buses and the driver. If the driver takes an off-route you will immediately come to know about it. Many accidents could occur on the route so an audit of the route should be done to ensure smooth transportation. Awareness: Creating awareness among the people of the society, explaining them about the pros and cons of the bullying and child abuse, initiating rallies and campaigns in the society will be a great step towards children safety. Parents: Yes, parents also play an important role in the safety of their children, they should teach their students to be cautious and aware of their child’s regular interest and day-to-day activities. We at Vidyalaya online school management software helps the school with the technology solutions to keep track on your student with facilities of school bus tracking system, Student gate pass, visitor log, RFID solutions, school app for parent and other such advanced features.